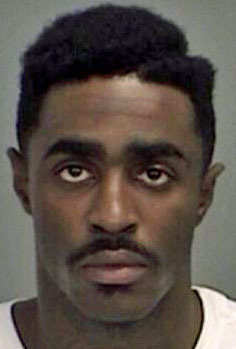 THE GENERAL PUBLIC SHOULD NEVER ATTEMPT TO CAPTURE, ARREST, OR DETAIN THE INDIVIDUAL(S) SHOWN. LAW ENFORCEMENT OFFICERS MUST VERIFY THE STATUS OF EACH WARRANT PRIOR TO MAKING AN ARREST. INFORMATION SHOWN WAS VERIFIED PRIOR TO THE POSTING DATE AND WILL BE UPDATED EACH TUESDAY. IF YOU HAVE INFORMATION ON THE LOCATION OF ANY OF THE INDIVIDUAL(S) SHOWN, CONTACT BRAZOS COUNTY CRIME STOPPERS. YOU DO NOT HAVE TO GIVE YOUR NAME AND YOU WILL REMAIN ANONYMOUS. IF YOUR INFORMATION LEADS TO THE ARREST OF THE INDIVIDUAL(S) SHOWN, YOU WILL BE ELIGIBLE FOR A CASH REWARD. TOP 10 WANTED - If you have any information about the location of HAKEEM JAMAL ROLLINS, you are urged to call Brazos County Crime Stoppers. Hot Line at 979-775-8477 or submit a Web Tip or Mobile Tip using our P3 Tips app. You do not have to give your name and you will remain anonymous. CRIME STOPPERS will pay a cash reward of $125 if your information leads to an arrest. 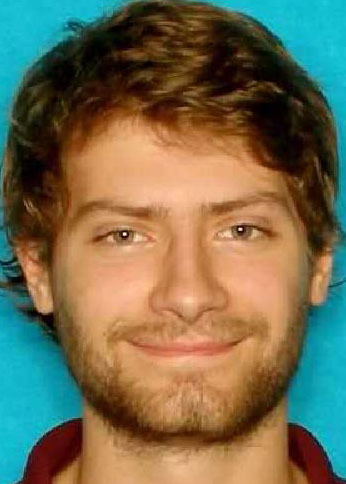 TOP 10 WANTED - If you have any information about the location of HUNTER COLE RANDOLPH, you are urged to call Brazos County Crime Stoppers. Hot Line at 979-775-8477 or submit a Web Tip or Mobile Tip using our P3 Tips app. You do not have to give your name and you will remain anonymous. CRIME STOPPERS will pay a cash reward of $100 if your information leads to an arrest. 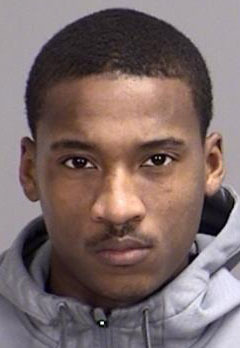 TOP 10 WANTED - If you have any information about the location of JALEN LEJON KNIGHT, you are urged to call Brazos County Crime Stoppers. Hot Line at 979-775-8477 or submit a Web Tip or Mobile Tip using our P3 Tips app. You do not have to give your name and you will remain anonymous. CRIME STOPPERS will pay a cash reward of $100 if your information leads to an arrest. 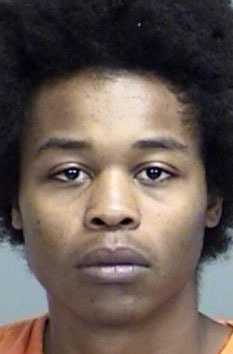 TOP 10 WANTED - If you have any information about the location of MARCUS JAMAL HARRIS, you are urged to call Brazos County Crime Stoppers. Hot Line at 979-775-8477 or submit a Web Tip or Mobile Tip using our P3 Tips app. You do not have to give your name and you will remain anonymous. CRIME STOPPERS will pay a cash reward of $125 if your information leads to an arrest. 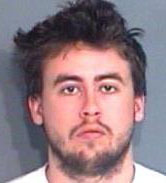 TOP 10 WANTED - If you have any information about the location of WILLIAM BAILEY DEBORDE, you are urged to call Brazos County Crime Stoppers. Hot Line at 979-775-8477 or submit a Web Tip or Mobile Tip using our P3 Tips app. You do not have to give your name and you will remain anonymous. CRIME STOPPERS will pay a cash reward of $100 if your information leads to an arrest. 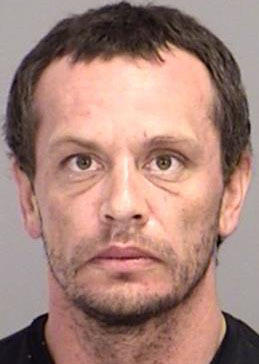 TOP 10 WANTED - If you have any information about the location of DARREN WADE COLEMAN, you are urged to call Brazos County Crime Stoppers. Hot Line at 979-775-8477 or submit a Web Tip or Mobile Tip using our P3 Tips app. You do not have to give your name and you will remain anonymous. CRIME STOPPERS will pay a cash reward of $100 if your information leads to an arrest. 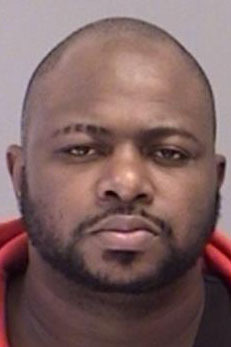 TOP 10 WANTED - If you have any information about the location of JASON LEE COLEMAN, you are urged to call Brazos County Crime Stoppers. Hot Line at 979-775-8477 or submit a Web Tip or Mobile Tip using our P3 Tips app. You do not have to give your name and you will remain anonymous. CRIME STOPPERS will pay a cash reward of $125 if your information leads to an arrest. 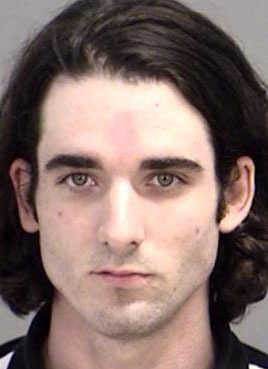 TOP 10 WANTED - If you have any information about the location of KODY JOHN BOYD, you are urged to call Brazos County Crime Stoppers. Hot Line at 979-775-8477 or submit a Web Tip or Mobile Tip using our P3 Tips app. You do not have to give your name and you will remain anonymous. CRIME STOPPERS will pay a cash reward of $125 if your information leads to an arrest. 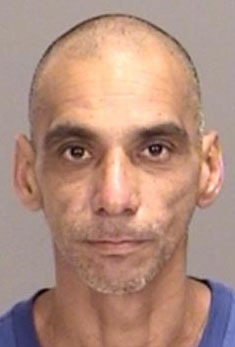 TOP 10 WANTED - If you have any information about the location of MARCO ANTONIO SOLIS, you are urged to call Brazos County Crime Stoppers. Hot Line at 979-775-8477 or submit a Web Tip or Mobile Tip using our P3 Tips app. You do not have to give your name and you will remain anonymous. CRIME STOPPERS will pay a cash reward of $125 if your information leads to an arrest. 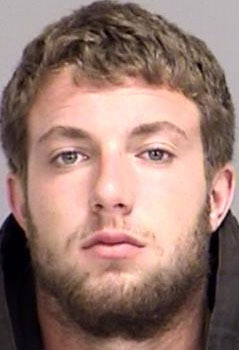 TOP 10 WANTED - If you have any information about the location of DAREN ARAND WHITE, JR., you are urged to call Brazos County Crime Stoppers. Hot Line at 979-775-8477 or submit a Web Tip or Mobile Tip using our P3 Tips app. You do not have to give your name and you will remain anonymous. CRIME STOPPERS will pay a cash reward of $1 if your information leads to an arrest. 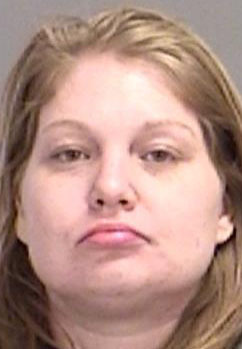 TOP 10 WANTED - If you have any information about the location of ASHLI NICOLE PAGE, you are urged to call Brazos County Crime Stoppers. Hot Line at 979-775-8477 or submit a Web Tip or Mobile Tip using our P3 Tips app. You do not have to give your name and you will remain anonymous. CRIME STOPPERS will pay a cash reward of $125 if your information leads to an arrest. 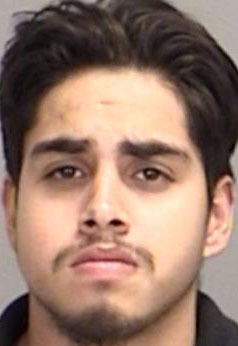 TOP 10 WANTED - If you have any information about the location of RAUL PAUL HERNANDEZ, you are urged to call Brazos County Crime Stoppers. Hot Line at 979-775-8477 or submit a Web Tip or Mobile Tip using our P3 Tips app. You do not have to give your name and you will remain anonymous. CRIME STOPPERS will pay a cash reward of $125 if your information leads to an arrest. 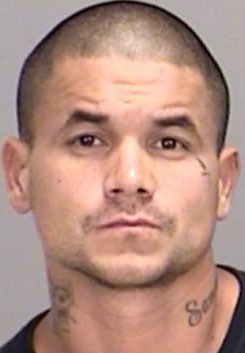 TOP 10 WANTED - If you have any information about the location of CELESTINO GONZALES, JR., you are urged to call Brazos County Crime Stoppers. Hot Line at 979-775-8477 or submit a Web Tip or Mobile Tip using our P3 Tips app. You do not have to give your name and you will remain anonymous. CRIME STOPPERS will pay a cash reward of $125 if your information leads to an arrest. 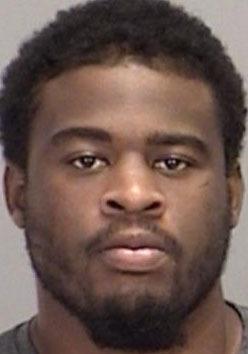 TOP 10 WANTED - If you have any information about the location of FREDERICK LAMONTE BOULDEN, you are urged to call Brazos County Crime Stoppers. Hot Line at 979-775-8477 or submit a Web Tip or Mobile Tip using our P3 Tips app. You do not have to give your name and you will remain anonymous. CRIME STOPPERS will pay a cash reward of $125 if your information leads to an arrest. 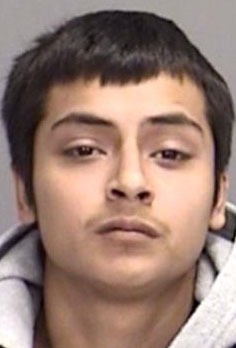 TOP 10 WANTED - If you have any information about the location of HECTOR JESUS ACOSTA, you are urged to call Brazos County Crime Stoppers. Hot Line at 979-775-8477 or submit a Web Tip or Mobile Tip using our P3 Tips app. You do not have to give your name and you will remain anonymous. CRIME STOPPERS will pay a cash reward of $125 if your information leads to an arrest. 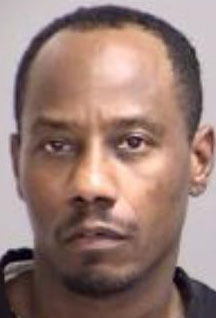 TOP 10 WANTED - If you have any information about the location of MELVIN EARL THOMPSON, JR., you are urged to call Brazos County Crime Stoppers. Hot Line at 979-775-8477 or submit a Web Tip or Mobile Tip using our P3 Tips app. You do not have to give your name and you will remain anonymous. CRIME STOPPERS will pay a cash reward of $125 if your information leads to an arrest. 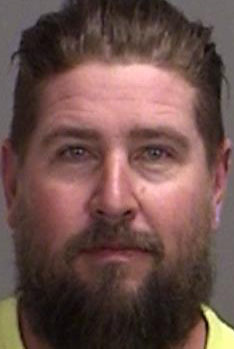 TOP 10 WANTED - If you have any information about the location of DANIEL LEE LOVELL, you are urged to call Brazos County Crime Stoppers. Hot Line at 979-775-8477 or submit a Web Tip or Mobile Tip using our P3 Tips app. You do not have to give your name and you will remain anonymous. CRIME STOPPERS will pay a cash reward of $100 if your information leads to an arrest. 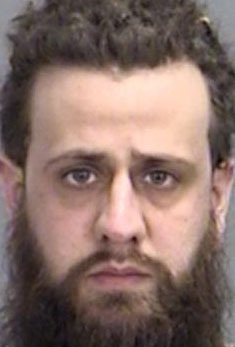 TOP 10 WANTED - If you have any information about the location of KYULE ANTHONOY KOLOGINCZAK, you are urged to call Brazos County Crime Stoppers. Hot Line at 979-775-8477 or submit a Web Tip or Mobile Tip using our P3 Tips app. You do not have to give your name and you will remain anonymous. CRIME STOPPERS will pay a cash reward of $100 if your information leads to an arrest. 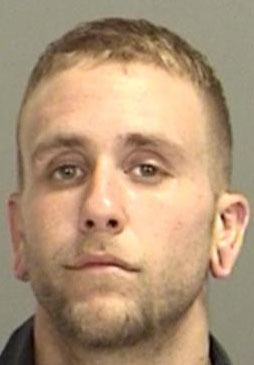 TOP 10 WANTED - If you have any information about the location of BLAKE RYLIE HUSBAND, you are urged to call Brazos County Crime Stoppers. Hot Line at 979-775-8477 or submit a Web Tip or Mobile Tip using our P3 Tips app. You do not have to give your name and you will remain anonymous. CRIME STOPPERS will pay a cash reward of $100 if your information leads to an arrest. 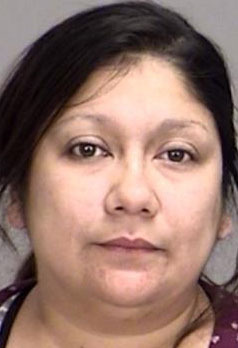 TOP 10 WANTED - If you have any information about the location of IRIS GUAJARDO, you are urged to call Brazos County Crime Stoppers. Hot Line at 979-775-8477 or submit a Web Tip or Mobile Tip using our P3 Tips app. You do not have to give your name and you will remain anonymous. CRIME STOPPERS will pay a cash reward of $100 if your information leads to an arrest.